Care to be Different > Articles > NHS Continuing Healthcare > Where can a person receive NHS Continuing Healthcare funding? Do you have to move into a nursing home if you’re eligible for NHS Continuing Healthcare? We hear many reports from families whose relatives have secured NHS Continuing Healthcare funding, but who are then told their relatives will have to move if they want to actually receive the funding. So where can a person receive NHS Continuing Healthcare funding? …you don’t have to move into a nursing home to be given the funding. You can stay right where you are – as long as it’s appropriate for your needs. NHS Continuing Healthcare funding does not depend on what kind of place you live in. Simple as that. In all this, the NHS is however able to take into account relative costs of providing care in different settings; at the same time, any such costs must be genuine costs for the individual in question – and the individual’s needs still remain paramount in this. Regarding care homes, families often report being told that Continuing Healthcare isn’t available in this care home or that care home. If you’re told that, keep the above in mind. You could also reassure yourself by asking the care home manager whether they currently have – or have had in the past – residents with NHS Continuing Healthcare funding. If the answer is yes, then the NHS cannot really justify telling you your relative can’t be there. Remember also that if your relative qualifies for NHS Continuing Healthcare funding, the contract for that funding is between the care home and the NHS. The care home shouldn’t not ask you for any top ups for that funding. If the Continuing Healthcare payment from the NHS isn’t enough to cover your relative’s needs, the care home must take that up with the NHS. This should be done as a matter of urgency, to ensure the safe ongoing care of your relative. So if a funding assessor tells you and/or your relative you have to move to be eligible for NHS Continuing Healthcare, quote their own National Framework guidelines back to them. My mother has been self funding in a wonderful residential care home for almost 12 months. After a short hospital stay earlier this year, she returned to the home with Fast Track Funding. This has recently been rescinded because she didn’t pass away as they expected. We were told at this point that her care would not change and the district nurse matron who was present at the meeting seemed quite happy with the level of care the home were giving her and made mention of her having to move. (Mum is not on any medication and the district nurses were only checking her for bed sores which she does not have as the carers are regularly turning her.) We asked for the decision to be referred to panel and although they rescinded the Fast Track, they said that mum qualified for Continuing Healthcare (CHC). We were told that she could only get this if she went into a Nursing Home so we queried this in light of the guidelines. They are now saying that as mum has a primary health care need, there has to be a nursing element to her care and the district nurses are refusing to provide back up to the home. As there would be no day to day need for their involvement, we feel this is just an excuse and we are totally happy with the level of care the home give her. Mum is 92 and in the late stages of Alzheimer’s and bed ridden so we feel a move to somewhere strange would be detrimental to her. Where do we stand? I am not asking them to consider a date before the Checklist!! “I also note your query regarding refunding individuals back to day 29 after the checklist completion. This would indeed be appropriate in those cases where eligibility was clearly evidenced for a determined period of time, however in your husband’s case the MDT did not consider evidence relating back to the date of the Checklist and their recommendation was based on a specific period of time. Therefore the Continuing Healthcare team completed their retrospective review back to the date of the positive Checklist.” What do you suggest I do to make them comply with the National Framework? Some dates: Checklist date June7.2014, abortive MDT meeting 25.2 15. MDT finally on 1.6.15 found eligible from that date only. A Retro meeting 17.3 16 backdated eligibility back to 2.2.15. It is a mystery to me why they choose that date, I made a complaint about not backdating to the Checklist.They have no intention of listening. The question is can declare a case retro and just choose a date to their liking. Do I have a case or do I have to accept above. This is really grinding me down. Soooooooooo frustrating. Karin – If your case was not a retrospective one, then you’re correct that funding should be backdated to day 29 after the original Checklist. It’s so frustrating when assessors do not uphold the guidelines. You may need to approach NHS England to take it further. You may also want to consider getting an independent CHC adviser or solicitor to draft a letter for you. Just a thought. Sorry to read this, but my experience is they can do what they like and are not accountable to anyone. You can be as outraged, angry and frustrated all you like, but at the end of the day their well oiled and orchestrated regime will win. It can be very hard, and the obstacles can be daunting. However, every week we hear from families who have secured NHS Continuing Healthcare funding. I wonder if there is any data showing the geographical spread of the funding. My father is now bed ridden and has to be fed, but they still make the case that feeding is something a carer can do and is not ‘medical’ condition. …In the meantime – we are awaiting a date for a CHC assessment-because!! Its been said he will be coming off CHC funding because he’s settled at home? And he will be under SOCIAL NEEDS!! (Rubbish – he’s no capacity, no recognition! Immobile, doubly incontinent and spoon fed – liquidised only! They have a fight on their hands, I’ll say!) Should they arrange and fund the respite in home as we require – sitting service – for 1week…or can they refuse? Monty – CHC does fund live-in care, as we know of people who receive that. It all comes down to the extent of care needs. If the care is not sufficient, and yet your dad qualifies for CHC, the NHS is negligent if it does not provide adequate care for all assessed care needs. Regarding respite, take a look at the Pointon case, in which the NHS was forced to provide cover for respite: http://www.ombudsman.org.uk/__data/assets/pdf_file/0007/1105/The-Pointon-case.pdf Also, just because your dada is ‘settled’ doesn’t mean his funding can simply be taken away. CHC has nothing to do with being ‘settled’; it’s about underlying care needs. Keep persevering. Regarding my previous comment which might be confusing I meant to ask could the CCG decide where my father can go, not the CQC, of course. My father has recently been awarded CHC. Without the knowledge gained from this site I doubt we would have got this for which, many thanks. We are now being required to move my father from the home in which he has been since Christmas (since it is an “assessment center”) to somewhere else. We have found somewhere that seems ideal but have been told by the staff at this establishment that the CHC “will not fund it”. This is a closed ward that provides special care for dementia patients and nursing. It is also exactly the kind of place my father would like. Can the CCQ agree to CHC funding and then dictate what place my father goes to. We are being put under considerable pressure to move him to places that we think unsuitable at very short notice. Thanks for your kind words, CHCJ123. 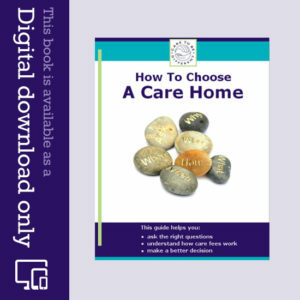 The NHS cannot restrict your choice to only one care home. They must give you choice. Ask them to show you the other care homes on their CHC list. The primary consideration is your father’s wellbeing, and he cannot be pushed into a home that is unsuitable and/or cannot manage his needs. My dad is fully funded by the NHS and gets one to one 24 care. He is in hospital at present, no one to care and I am having to go in 3 times a day to feed him. He is constantly trying to get out of bed and walk and with no one to one is at a high risk of falls. Can I get one to one in a hospital? A hospital has a duty to provide the healthcare a person requires and to keep them safe – whatever that is. Anything less is neglect. Raise a safeguarding alert. I have just found your web site, which I have found to be very informative. My mother is in a care home and has been there since March 2013.She has dementia, and is now unable to walk or stand. She is 94 and her health has declined over the past three years. Last Thursday, after visiting my Mother, I was told that a NHS Continuing Healthcare nurse had visited my mother two days previously to see if my Mother is eligible for CHC. This was, to say, a bit of a shock to me as, up until this time, I had never heard of NHS Continuing Healthcare! My Mother had to sell her house to provide funds for the care home and this money ran out after about 6 months (there was an equity release attached to the property). She is currently in a social care bed. My concern is, I have been told that if my Mother is awarded the grant, she will have to move homes. I certainly don’t want this. I am more concerned about this issue, than whether she may or may not get the grant. I phoned the County Council and was told that if Mum gets the grant they will withdraw the funding and she will have to move. My Mum pays a contribution from her pension every month. In fact, all her pension. I am annoyed and confused. Why was I not told about this at the outset? My main concern is, I don’t want her to be moved. I have been told by the nursing staff at the care home, that she is a border line case. What does that mean? Added to the problem, my health is not good, having had a heart bypass last year and cancer. However, my main concern is the well being of my Mother. Thanks for your kind feedback on the website, David. It sounds as though there have been major flaws in the Continuing Healthcare (CHC) process in your mother’s case. You should have been notified in advance that an assessment would take place, and you should have been invited to attend. Have you received any paperwork from the assessment? If you receive news that your mother is ‘not eligible’, insist that the whole thing is done again. 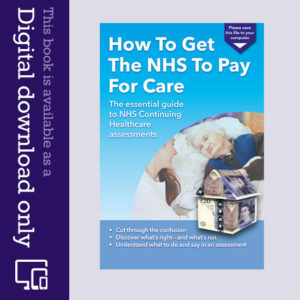 http://caretobedifferent.co.uk/what-are-the-different-stages-of-nhs-continuing-care-assessment-and-appeal/ Also, ask the manager of the home whether they have – or have had – residents with CHC funding. If they have, it’s hard to see why your mother would have to move – and if they haven’t, it doesn’t necessarily mean she can’t stay there. CHC comes from the NHS, not the county council. If your mother is currently receiving council funding, and then receives CHC, then the council funding will stop because ALL her needs will then be covered by the NHS – and your mother will no longer have to contribute either. But that still doesn’t necessarily mean she’ll have to move. The statement by the nursing staff at the care home that your mother is a ‘borderline case’ is nonsense. On what basis are they saying that? Sadly it’s not unusual – and it sounds as though they don’t have a clue what they’re talking about. No one can say whether a person will or won’t receive CHC until the (proper) assessment process has taken place and a clear recommendation has been made either way (which you can appeal should you choose to). Thank you for your reply. Are there any legal documents or websites that I can quote when I get back you the home about this? I have contacted NHS Continuing Healthcare in my area and they say that the home can charge extra and if we don’t pay then my father in law may be moved. This would be very detrimental to him. I don’t know who to turn to for advice! My father in law is in a care home and receives NHS Continuing Healthcare funding. The home have written to us asking us to pay a third party top up fee as their fees are increasing to cover an increase in staff wages! Can they do this? Or should the full fee still be covered by the NHs funding? The care home should be going to the NHS for the extra funds, not you. It is illegal for the home – or anyone else – to ask you to top up NHS funding. 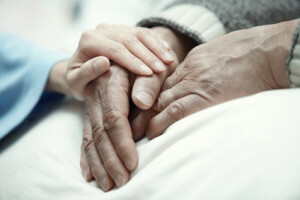 Continuing Healthcare covers ALL care needs – and the contract for this is between the care home and the NHS. You should not have any qualms; As I have said previously, it is not a case of no money being available ( We are the fith richest country in the world!) It’s a case of no money being made available! Sorry, I meant to say no money is being allocated. This is just to say that my husband was recently discharged from hospital (where he had been for a year) into a care home about 14 miles away. He suffers from dementia, blindness, is unable to communicate or understand anything, cannot feed himself and cannot sit without support, nor stand or walk. I am happy to report that the NHS granted me the full cost of his care, after I met with them twice and wrote one letter. I told everyone that I would pursue every avenue and go to court if necessary as my husband’s condition is a lot worse than Pamela Coughlan’s, which I mentioned several times in the meetings and in my letter, and told them also to view her video. So they were aware of my case from the beginning. At first I was told that as he was “compliant” with his care I had no hope of winning. Apparently if somebody is aggressive and violent they have more chance of getting fully funded care! My husband has not got the best room in the care home but as he cannot see and is otherwise being well cared for I am quite happy. Thank you Angela for your wonderful work which helped me such a lot! My advice: Don’t tell people if you are successful in getting the NHS to pay for care! Thanks for your kind feedback on the website, Annette. Just a note to tell you that I had another meeting yesterday to try to get NHS funding for my father who is 94 and been in a nursing home for the past 5 years. He is double incontinent, deaf, has diverticulitis, diabetes , severely movement impaired (wheelchair bound) and forgets to swallow. We were turned down for funding 18 months ago and were turned down again yesterday. The reason given; None of the conditions require the regular attention of a medical practitioner, all the conditions can be delt with by a carer and therefore my father does not qualify for any funding at all. Is this the right? I just wonder how ill you have to be. Probably in a coma! I was ‘advised’ by two agencies prior to my mother going into a care home that she could not be funded as she was not in a ‘nursing home’ and my retrospective claim is currently being investigated by the Ombudsman. I find the saddest aspect of this is that funding is being ‘managed’ by liars. That’s such a typical thing for families to be told, Anne – and of course it’s quite wrong; it doesn’t matter what setting a person is receiving care in. Yep – me too. The NHS CCG lied to me – should have reacted but one too many battles. My mum owns her flat in an extra care development and is self funding and the council currently provide her care plan, she is still awaiting DST, if she is eligible this time, who would provide the care plan? would it still be the same carers? Mary – it depends whether the current care provider has an arrangement with the NHS. I am in the same situation, bedbound, severely disabled luckily I don’t have dementia but I get 3 carers 4 times a day, nothing at night unless it is an emergency call to the out of hours team. The only option is ifyou can get a live in carer which may be financed by your care agency. My dad is in hospital. He had a massive stroke but was doing quite well until he picked up an infection. Now he’s bed bound being fed by a feeding peg, he is also incontinent, he doesn’t open his eyes very often, his dementia has taken a big dip but he still said he wants to go home. I have been told that he would only be entitled to four visits a day by carers but none through the night. Is this correct?